Get your business noticed anywhere with this junior folder! 18 color(s) to choose from! 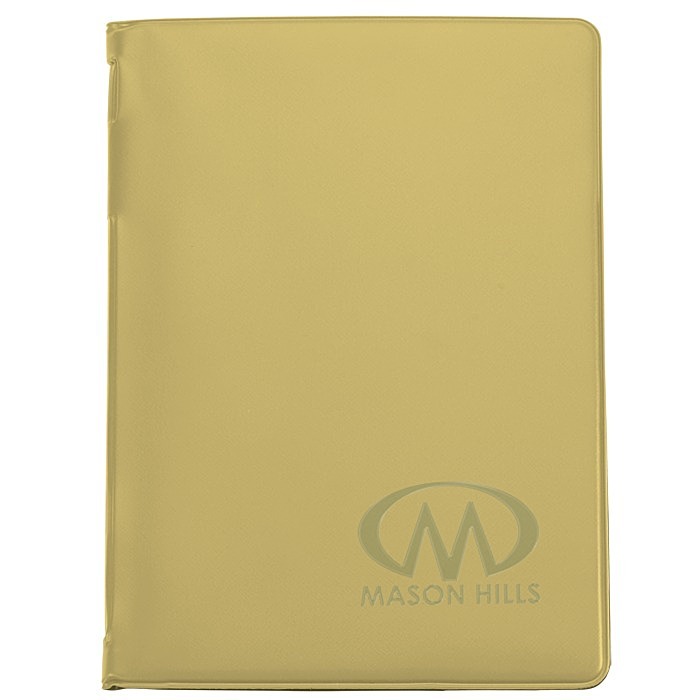 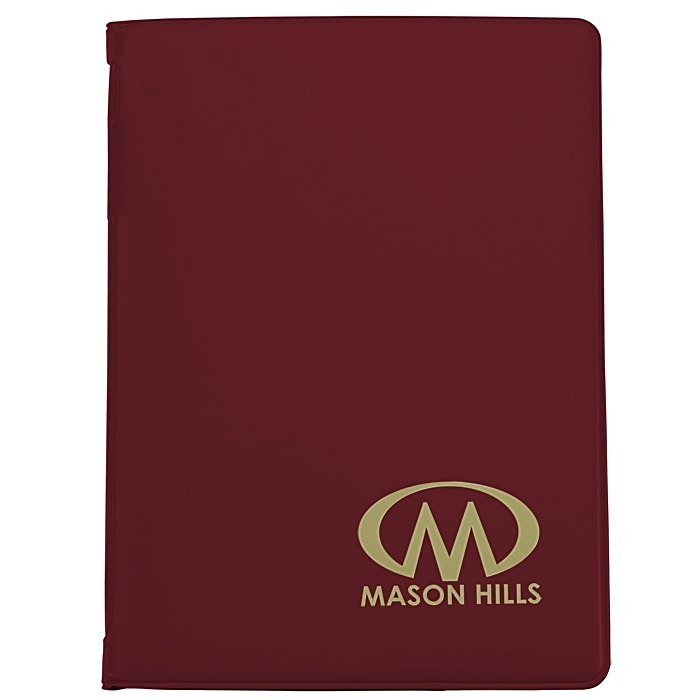 These vinyl padboard folders are available in one of your choice of several rich, versatile colors. 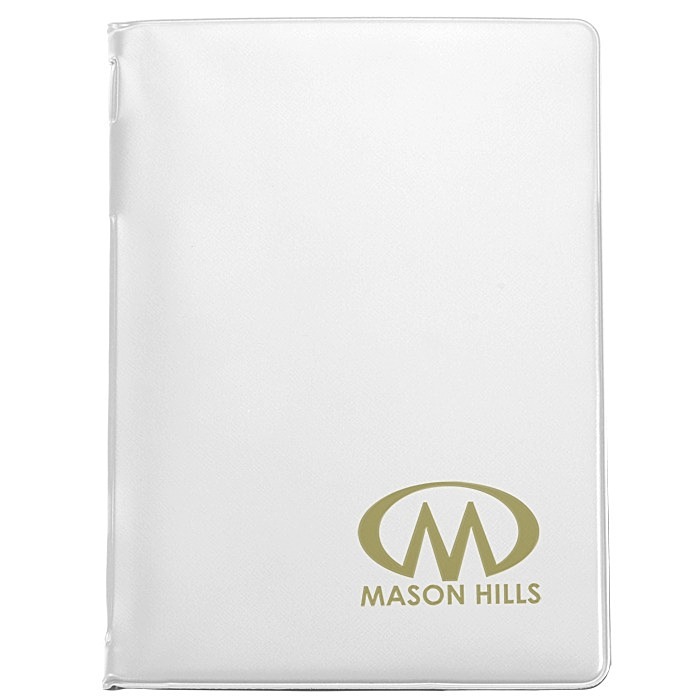 A 35-sheet 8" x 5" ruled notepad pad offers ample space for notes, to-do lists, observations and memos. The inside cover includes a business card pocket, pen slot and a document pocket to organize important information. Great giveaway to encourage note-taking at public speaking engagements, college lectures, training seminars and more. Size: 8-5/8" x 6" x 1/4". Your price includes a one-color imprint on the front cover of the folder.